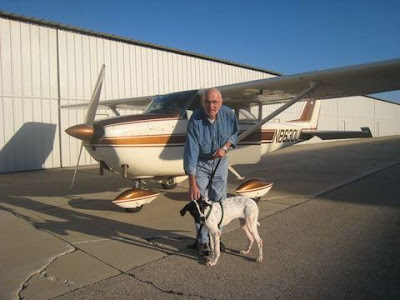 IBR has had the privilege of using the services of this fine volunteer pilot/plane service to fly our rescue dogs to safety. Where to begin. 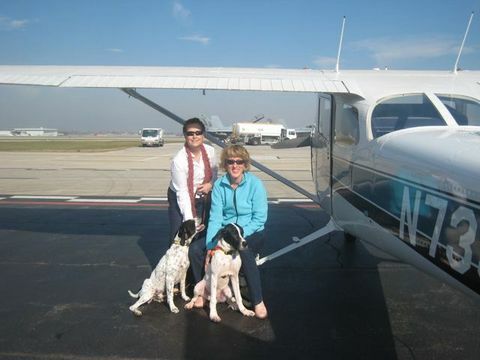 This past weekend we were able to bring 3 dogs to safety through the kind hearts of several pilots. The first trip involved moving two dogs with 4 pilots coordinating across 3 states. From Oklahoma through Missouri to Illinois. WOW!!! What a fantastic job from everyone. 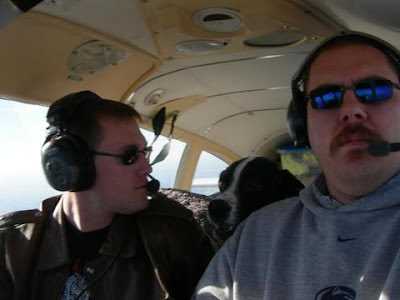 IBR would like to thank the following pilots for all their time and generosity getting Chuck and Winberie to a safe place. 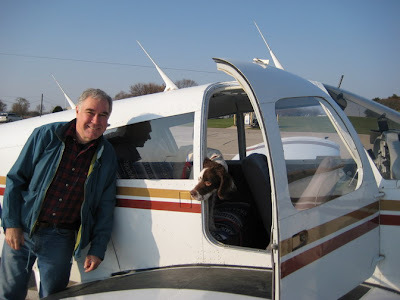 Pilot Russ Roselewski (no pictures), Pilot Paul Shank and Tyler Wilson, Pilot Warren Levin and Chuck Pilot Rhonda Buss and IBR volunteer Noreen Hyde.